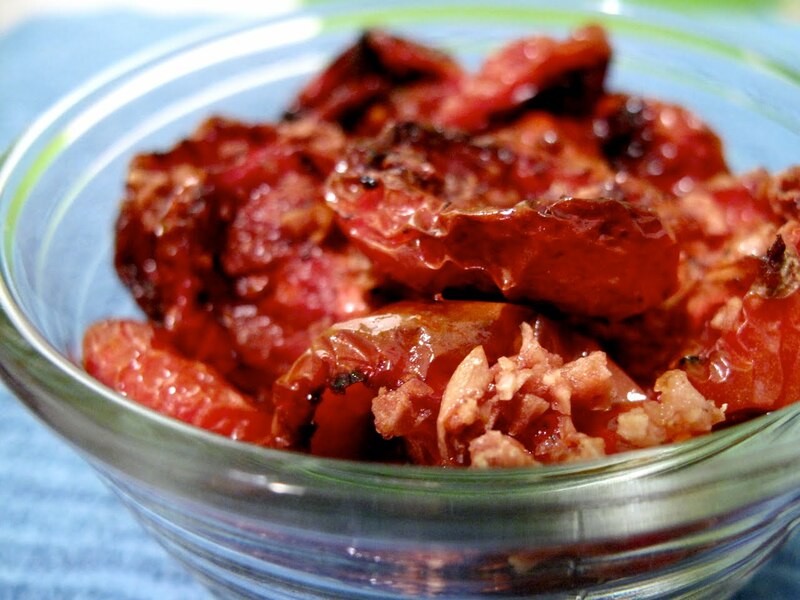 I came across this mouthwatering post from Our Best Bites on how to make your own oven-roasted tomatoes and was excited to try it out for myself. I picked up a pack of 40 cocktail tomatoes from Zabar's and garlic from Chinatown. Keep in mind that the recipe calls for minced garlic and I've never minced anything before (that was an adventure in itself). I spent a considerable amount of time mincing the garlic. Next time, I'm just going to go ahead and buy a jar of it instead. Even though fresh garlic may enhance the tomatoes, it's a small sacrifice that I'm willing to make! 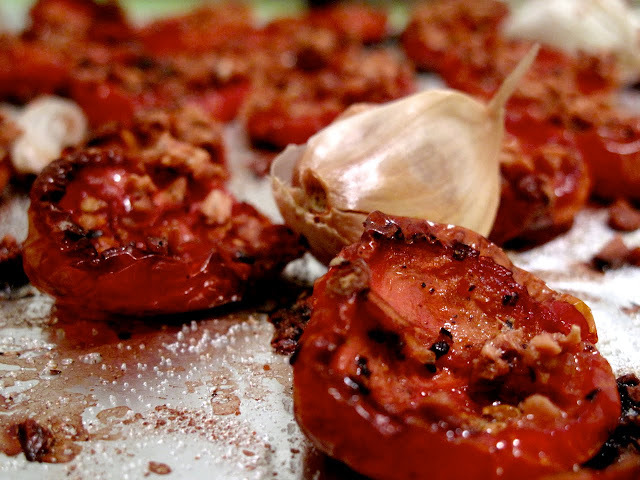 After I arranged the tomato halves onto a baking sheet and popped them into the oven, I was pretty much done. At around 2 hours and 15 minutes into bake time, I did a quick taste check. They were still fairly acidic, so I sprinkled some sugar onto them, which mellowed that sharp note down. 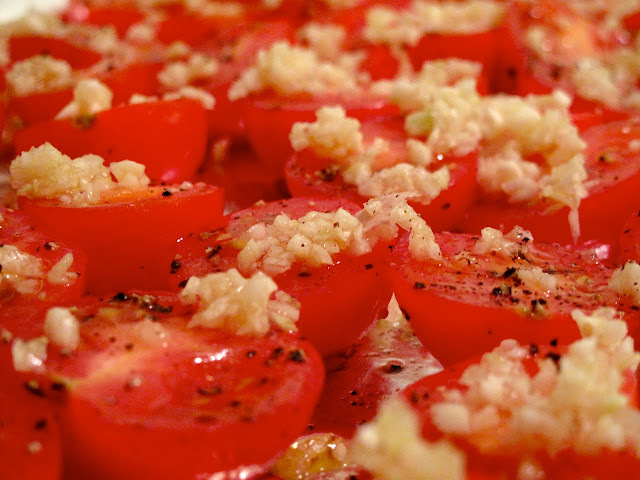 Depending on the size of the tomatoes, the amount of time that it takes to bake them will vary. Mine took about 2 hours and 45 minutes. I think that they would be great to use in pasta or in a pressed sandwich. They're also quite nice as individual snacks. Each bite is garlicky, sweet, sour, and pleasantly chewy (with still some softness in the middle). I am definitely going to make these again.